E-cigarettes are almost completely free of health risks, and could save millions of lives, agreed health experts at a London summit to discuss the effects of the device. 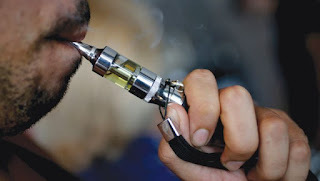 E-cigarettes – which work by users inhaling vaporized nicotine – have enjoyed a surge of popularity since they were introduced around the turn of the decade, with around 7 million users in Europe. Nations have moved to crack down, but a growing movement claims they offer more benefits than risks. “We can recommend that smokers who cannot quit should switch to e-cigarettes,” said leading researcher Dr. Konstantinos Farsalinos of the University Hospital Gathuisberg, Belgium. The risks were less than 1/1000th of smoking tobacco, he told Metro. Dr. Farsalinos added that the devices were the most effective tools to quit smoking. “The best alternative before was around 20% [...] In my research up to 80% of participants using e-cigarettes have quit.” Medical journal The Lancet also found that e-cigarettes were more effective than Nicorette gum and patches. eVic VT features a super large OLED screen, supporting VT-Ti (Titanium)/ VT-Ni (Nickel)/ VW mode, and battery capacity of 5000mah. With its new cutting edge technology of temperature control, embodies the concept of a healthy alternative lifestyle.